MARVLIS Products - BCS, Inc.
Server functions as the hub of a complete communications system for the entire MARVLIS suite of products by interfacing directly with your CAD system to better manage resources and enhance the overall value of your system. Server receives location and status data from people and vehicles in the field, archives the data and distributes it to multiple monitoring applications in the dispatch center. Manage road closures and construction with an advanced barrier management system to improve routing, vehicle coverage and closest vehicle recommendations. Automated updates push application and data updates to your fleet without interrupting operations or consuming excessive staff time. Client is your in-vehicle connection to dispatch. Designed with the driver in mind, Client utilizes GPS and wireless communications to display realtime maps and routes recommended by MARVLIS Server as well as providing valuable information to empower the field worker for better performance. Take advantage of silent dispatch capabilities to receive full incident information including location, status and updates. 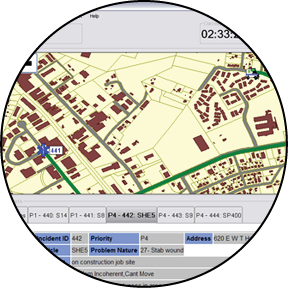 Store multiple destinations such as headquarters, posts and hospitals for quick and simple routing. Field supervisors can access information about resources under their command, new incidents in the system and dispatch assignments. Knowing the location and capabilities of each of your resources is paramount when responding to an emergency situation. Developed to operate using a simple web browser, SITREP Global incorporates a multitude of data streams to simultaneously track thousands of units, providing real-time locations and information for each. In addition to your own data, SITREP Global allows you to take advantage of a wealth of map data through ArcGISSM Online such as aerial imagery, topographical maps and more. 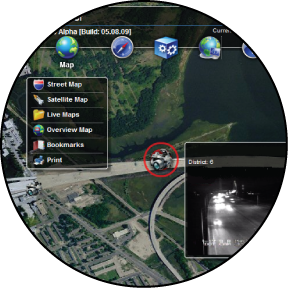 Customize SITREP Global and easily display real-time weather data from NEXRAD, add traffic cameras to see current traffic images and road conditions, and increase the amount of essential information that can now be delivered to your users. MARVLIS Deployment Planner automatically builds an accurate and efficient System Status Management plan to better deploy your resources for reduced response times and better service to the community. 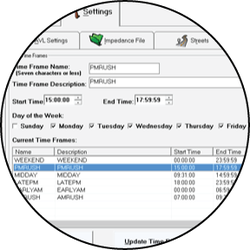 Using the historical demand data generated by Demand Monitor, Deployment Planner analyzes your demand, post locations and geographic coverage requirements to create a plan that best utilizes your resources for specific times of the day and week. The results of the analysis can be immediately used for deployment or can be imported into your CAD system for use as part of your overall management system. Do you know the fastest route to an incident location? Depending on the time of day, day of the week or time of year that route may be different. MARVLIS Impedance Monitor constantly learns from your fleet’s AVL data and determines the true speed of travel over your roads and highways during different times of day. 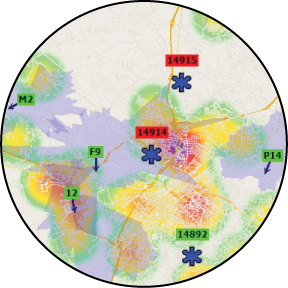 The resulting GIS data is then used to more efficiently recommend closest vehicles, route your vehicles to avoid traffic problems and more accurately calculate the true coverage of a vehicle for a specified response time. 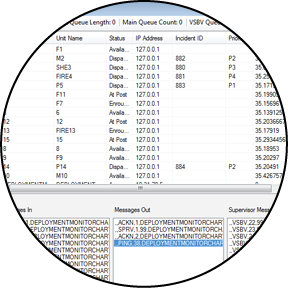 Deployment Monitor is the only real-time analysis tool for the dispatch center that combines demand data, AVL, CAD information, traffic congestion and vehicle status to provide a complete overview of the effectiveness of your resource deployment. The operator is presented with a map that displays the hot spot map from Demand Monitor, overlaid with vehicle locations, vehicle status and coverage of each vehicle. Together, this information aids in the efficient management of resources to assure that the high probability areas can be covered by available vehicles yet minimizes the need for constant vehicle move-ups. MARVLIS Demand Monitor is a new approach to managing call demand within your jurisdiction. 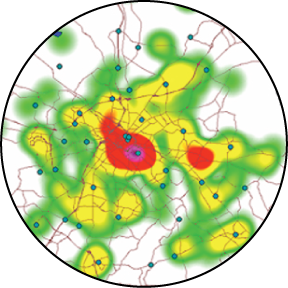 Through automatic and regular analysis of the geographical and historical properties of data from your CAD system, Demand Monitor accurately predicts the location of upcoming calls. 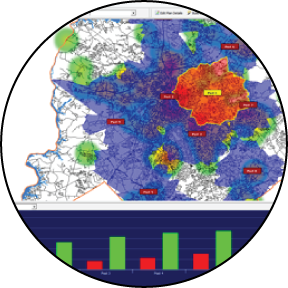 Demand Monitor increases your overall effectiveness by providing a map of the areas with the highest probability of calls, specific to your area, for the current time and season of year.